I found the cutest little pattern on Ravelry a few days ago, and because I have lots and lots of time-sensitive things to do around here, I naturally cast right on :) It's a crochet pattern called King's Crown, and when I saw it online, I just knew that I needed to make one right that very second. I pulled out my hook and a skein of Berroco Comfort in "Goldenrod", and chained on (is that right?...what's the crocheting version of 'cast on'?). Anyway, I wanted to make this fun little play thing for Alex because we've been reading through a book of fairy tales and I thought he'd get a kick out of dressing up like a prince. As you can see from the photo, it came out a little smaller than I thought it would, and Eddie ended up with it :) Doesn't he look regal? There's another pattern on Ravelry for a lion mane and since Eddie left this crown on for about 15 minutes, I've decided to knit one of those too, lol. I think I've just been bitten by the knit-funny-little-things-and-dress-your-cat-up-for-photos bug (even though this is crocheted and not knit, lol). Speaking of crochet, did I ever tell you that I learned to crochet way before I ever learned to knit? I started 'hookin' when I was about 9 (maybe?) and I played with my little stash of yarn which consisted of about three baseball-sized balls of random acrylic yarn passed down from my mom. I would make a granny square, and then rip it all back out only to start again. I had no idea how to make anything else, or how to finish off my projects. It wasn't until I picked up a copy of 7-Day Afghans that I learned how to read a pattern. I made three or four different afghans and was even commissioned to make one for a friend. I can assure you, they all took longer than 7 days, lol. Anyway, I never really got hooked on crochet (pun intended) and only did it on occasion when I didn't have any good books handy and my husband was hogging the tv. 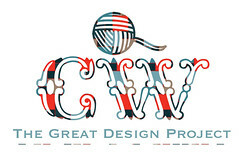 He was the recipient of my very last crocheted afghan, and my oldest son received a crocheted Christmas stocking which I loathed so much that I decided to learn to knit. 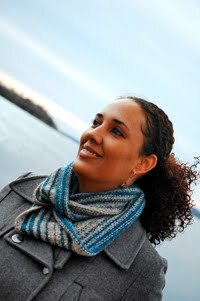 And here I am, about nine years later, happily knitting away and designing stuff of my very own. This is so adorable! 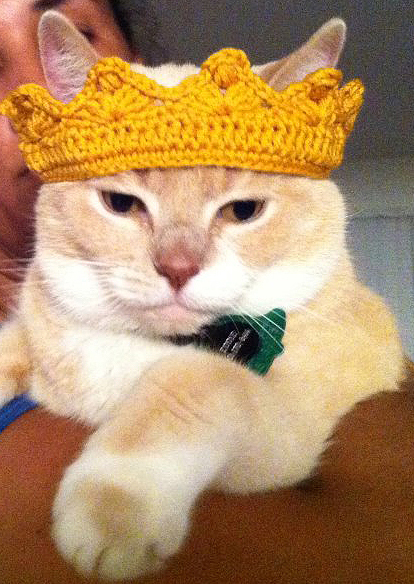 I have knitted a fez and a beret for my cat in the past, but this crown is very cute; he looks very regal indeed!